In March 2016, the WYLD steering group was commissioned by the UK Department of Health to undertake a scoping review of symbols used for Dementia Friendly initiatives. The aim of this project was to identify existing symbols as well as understand attitudes towards and requirements for the development of a universally recognised Dementia Friendly symbol. Clare Walton (UK), Laura Booi (CA), Kristine Newman (CA) and William Hu (USA) undertook the project with input from 16 different countries. 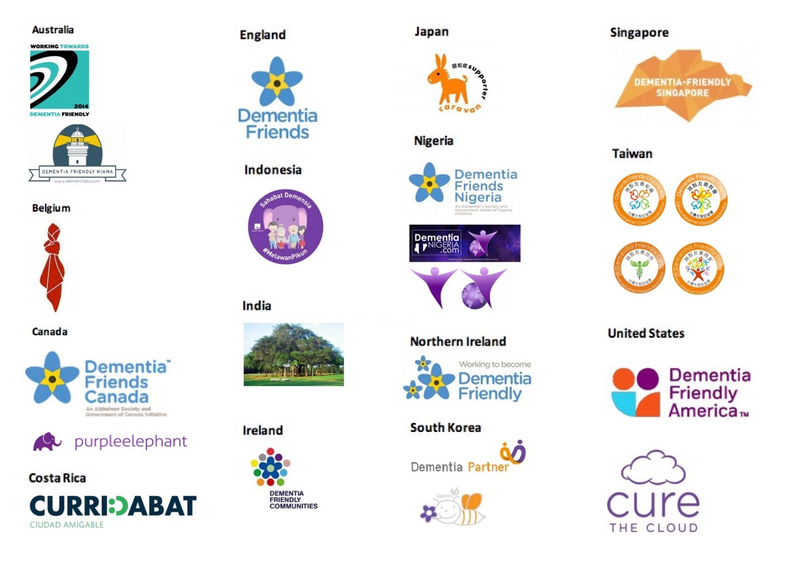 Although fifteen of the countries surveyed already had a Dementia Friendly initiative in place, the idea of a global symbol or symbolic element that can be shared across counties and cultures was positively received by all representatives. The authors put forward a number of recommendations that should be considered if the concept of a global Dementia Friendly symbol is to be progressed. These include: the importance of engaging people living with dementia from the outset; including an element of education alongside the use of such a symbol; and focusing on the development of a universal element than can be incorporated into existing symbols rather than developing a new symbol.